Iruña-Veleiako euskarazko grafitoak. JM Elexpuru. 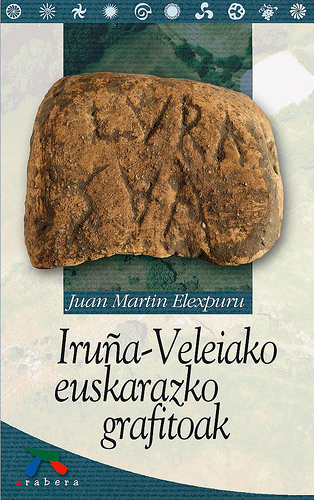 12.- Les inscriptions de Veleia-Iruña. Dr. Hector Iglesias, filólogo, investigador de IKER (Baiona). Tema: Informe sobre los textos en euskera, en latín y sobre iconografía de los grafitos. This entry was posted on 2017/05/27 at 9:58 am and is filed under Albisteak. You can follow any responses to this entry through the RSS 2.0 feed. You can leave a response, or trackback from your own site.